It’s time to leave for another adventure! Which means this blog will be used for travel stories and communication, as well as personal rants and lessons learned. It’s had it’s ups and downs, but I’ve been provided for in beautiful ways. 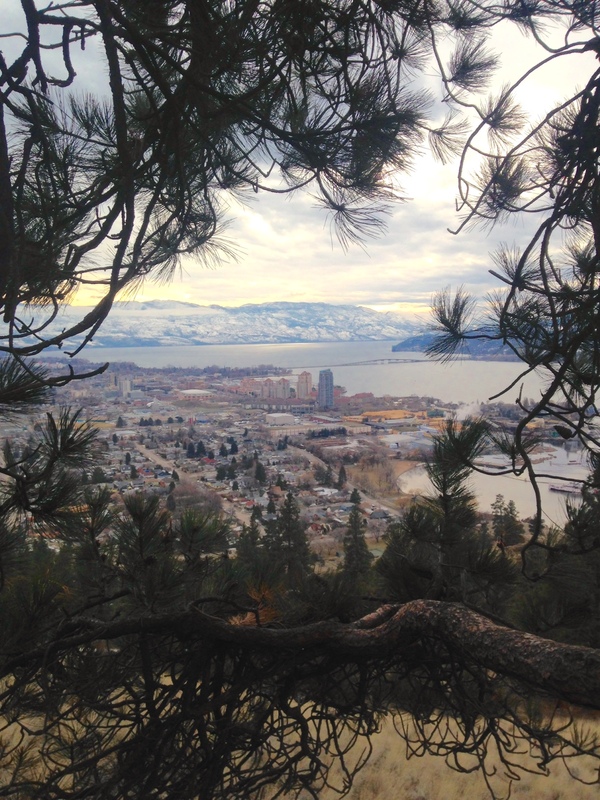 I have also discovered some amazing local adventures to do in Kelowna, for those who want to come stay with me in July or August. The Okanagan is a playground! 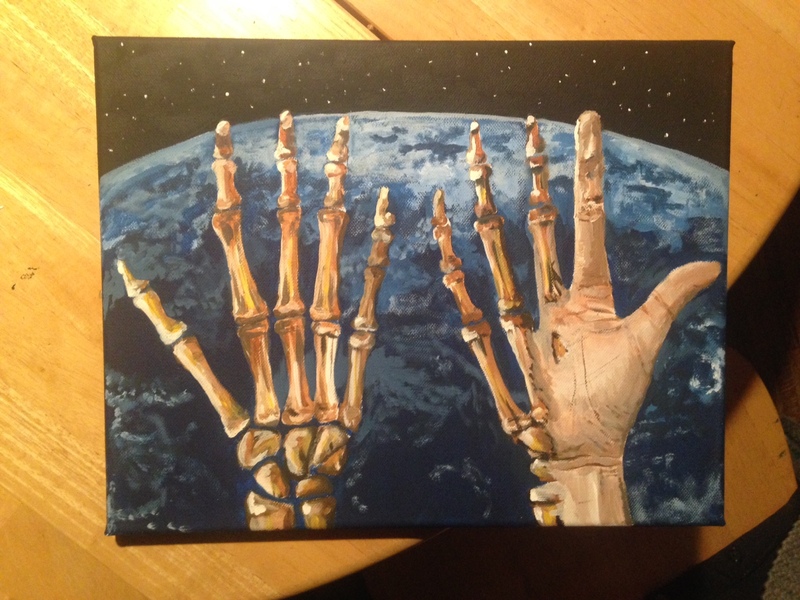 The painting is a pair of hands, held over the Earth. The hands are mostly bone, with a little flesh on the right hand. I didn’t intend the hands to be death-like, but simply what they are – bones. I am human, flesh and bone, and will remain that way until I die. The thing I’m discovering is that I can be more than flesh and bone with God in my life. I also wanted to point out that Jesus himself may have looked into his hands in the same way when he once walked the Earth. He was once human and bone, just like me. It’s a crazy realization. I believe in a God who reduced himself to brittle bones and tired flesh. But it’s such a relief to know that I am well understood, with all my human messes and disasters. The hands are held in a posture of self reflection and a posture of receiving. This is the posture that I want to have when I land after a 14 hour flight in Christchurch, on February 14th. As I go off to a country where no one knows me, I can be whoever I want to be. In a posture of self reflection, I want to remember who I am and where I’ve been and go from there. And in a posture of receiving, I cannot wait to see the things God wants to show me about his planet. I painted the Earth because it’s exactly what I have been given to explore. But it’s also the same Earth that God reigns over and I want to remember that. A detail that would be overlooked, is that the part of the Earth I chose to paint is actually the Pacific Ocean. I am embarking from the Pacific Northwest and ending up in the South East Pacific. Two completely opposite hemispheres, but the same salty waters. i love your paintings and your stories and you! you are so amazing. can’t wait to hear/see all about new zealand through your eyes! !